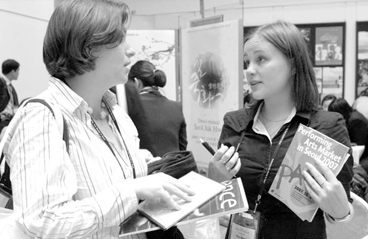 The Performing Arts Market in Seoul (PAMS) is celebrating its fifth year in 2009. Its 2005 launch was accompanied by a vague fantasy about art markets and concerns that local performing arts were not ready to venture into overseas markets. Over the past four years, however, PAMS has carved concrete functions and roles out of the unfamiliar, undefined expectations that had accompanied the term “art market.” Consequently, Korea’s performing arts professionals have grown familiar with PAMS. From the perspectives of culture and business management, an art market is defined as a type of market , a venue where the works of suppliers (artists) are picked through and purchased by customers (promoters, producers, theaters, and presenters like festival organizers). If in general, suppliers and customers of a performing arts market are described as the artists and audiences, suppliers and customers of an art market are defined as presenters (producers) and artists (groups). If the former is considered a retail market, the latter is a pre-distribution wholesale market. Unlike conventional fairs, however, art markets pursue something more than an economically efficient exchange of goods. They are more of a venue where the value of and information about artistic groups and artistic works are presented and communicated. In art markets, actual transactions take place through the showcases of performing arts pieces and booth exhibitions, and networks are built at workshops and forums to exchange information about local and foreign performing arts scenes and forge new relationships. What types of performing arts markets exist in the world? Performing arts markets carrying out the various functions of an art market exist under the title “art market” or some other labels in Europe, Asia, Oceania, and the Americas. There is the Commerce International des Arts de la Scene (CINARS) of Canada, the most well-known performing arts market in Korea and the one with a very clear purpose of exporting Canadian works to overseas markets. Launched in 1984, CINARS is held in Montreal in every even-numbered year. Roughly 1,000 theater representatives, festival organizers, presenters, managers, and policy makers from some 60 countries take part in this most-representative performing arts fair. The market features 150 exhibition booths and some 30 official showcase programs. In addition to Canadian performing arts works, the fair holds showcases for selected pieces from the United States, Russia, Mexico, the United Kingdom, and other countries. Among North Americans, the most-recognized market in the region is the Association of Performing Arts Presenters (APAP). The APAP holds an annual meeting in New York in January, the aim of which is to exchange information and ideas about the professional aspect of performing arts presentation. It is an international market for major presenters from not only the United States but also Central and South America, China, Taiwan, Japan, Korea, Australia, and Europe and serves as a crucial entry point into the North American market. Another well-known market in the United States is the Western Arts Alliance Annual Conference (WAA). The WAA boasts a membership of more than 700 performing arts professionals on the West Coast. It holds overseas showcase presentations for Central and South American pieces and has emerged as a key forum for information on performing arts in the western American market. Major markets in the Central and South American region include Bogota Market in Colombia and Encuentro de las Artes Escenicas in Mexico. Bogota Market is held in September and known for precisely matching delegates with participants to facilitate efficient business dealings. Mexico’s Encuentro de las Artes Escenicas is a biennial event operated by the National Council for Culture and the Arts. Across the Pacific, besides PAMS, the Asian region is represented by the Tokyo Performing Arts Market in Japan, which is held every March; Singapore’s Asian Arts Mart, which opens in June every other year; and the Shanghai Performing Arts Fair in China, held annually in October. 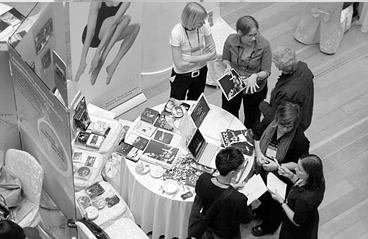 Another performing arts market worth noting is the Australian Arts Market (APAM). It was founded in 1994 and takes place in February during even-numbered years in the South Australian capital of Adelaide. APAM showcases only Australian works for the purpose of exporting the country’s own performing arts pieces. APAM was originally hosted in Canberra, but was moved to Adelaide to coincide with the world-famous Adelaide Festival and the Adelaide Fringe Festival. Capitalizing on the variety of programs available at these festivals and the environmental merit of being held at a summer vacation spot has helped APAM attract a number of presenters from all over the globe. Besides the conventional markets for performing arts mentioned above, there are other genre-specific art markets. Tanzmess NRW of Germany is famous as a dance market, and Babel Med Music of France and Mercado Cultural da Bahia of Brazil are well-known music markets. However, the most celebrated music fair in the world is WOMEX, which began in Berlin, Germany, in 1994. These art markets occurring all over the world differ in their functions and roles in accordance with their nature. The primary function of most performing arts markets is to boost the number of international exchanges involving a country’s performing arts works and pioneer new overseas markets. This is why performing arts markets generally operate showcases and booths mainly for performing artists from their respective countries. While there are markets like APAM of Australia, which do not invite foreign delegates to showcase and market their countries’ signature pieces, there are other markets with a more global approach, which actively collect and select showcases from abroad. Examples of such markets include APAP of the United States and the music fair WOMEX. Canada’s CINARS has also recently started presenting more overseas showcases. Being a latecomer among the world’s performing arts markets, PAMS was launched in 2005 with a host of concerns looming above it, such as how to publicize and market Korean performing arts pieces and PAMS itself to the world, how ready the Korean performing arts world and groups were to enter the global market, and whether the new system of distribution support, not creative support, would help improve the domestic distribution system and open new overseas distribution networks. Over the past four years PAMS has put on showcases, booth exhibitions, academic conferences, network meetings and various other programs to fulfill its various functions and roles: promoting international exchanges of performing arts pieces and overseas market entries, facilitating the creation of performing arts pieces, improving the internal distribution system, fostering information exchanges and strengthening human networks. As a result, PAMS now boasts many achievements, one of which is the overseas presentation of performing arts groups selected as PAMS Choice for the last four years. Roughly 40 artistic groups out of all those chosen for PAMS Choice from 2005 to 2008 succeeded in concluding 199 performance contracts in 51 countries. In some cases foreign presenters decide on the spot to invite certain performers after watching their showcases at PAMS. However, most of the invitations are extended after engaging in steady networking activities over time. Therefore, PAMS has not only launched short-term publicity campaigns about PAMS Choice during the fair but also taken part in foreign art markets to steadily publicize PAMS and PAMS Choice all year round. As mentioned above, an increasing number of foreign art markets open booths and showcases for performing arts groups from different countries, so taking part in overseas art markets represents an important opportunity for Korean artistic groups to enter the global performing arts scene. PAMS has built a worldwide network by setting up booths and presenting showcases in well-known overseas art markets to carry out its role of heightening awareness of Korean performing arts and PAMS abroad. PAMS has also signed a deal with Tokyo Arts Market to exchange presenters, showcases, and booth exhibitions for three years. Also PAMS has wrapped up a similar agreement with CINARS of Canada for the first time, which has led to Korean companies being officially invited to showcase pieces at the 2010 CINARS. To publicize and market Korean performing arts more actively within North America, Korean performing arts pieces will also be staged in New York during the APAP period as a result of accords signed with Under the Radar Festival, a venue for new and experimental plays in New York, and the Japan Society, which introduces Asian modern dance, PAMS is also forging continuous and close relationships with art markets and international councils in other regions. The growing awareness of PAMS in overseas markets is manifested in the fund for overseas art markets governed by the Australia Council for the Arts. The Australia Council for the Arts identifies leading performing art markets in the world through long-term and systematic studies and supports the participation of Australian performing arts professionals in those markets. The Council designated PAMS as a support recipient for 2009 and 2010, along with the IETM of Europe and the WAA of the western United States. Such designation is not merely to send Australian performing arts pieces to the Korean market. Since 2009 Australia has been strongly committed to bringing Korean performing art pieces to the Australian scene and encouraging major presenters in Australia to participate in PAMS. Another important function of an art market is exchanging information and building human networks. PAMS arranges an annual forum where participants share and discuss new issues in the domestic and overseas performing arts markets, allowing more enthusiastic exchanges and communication in the local performing arts market. 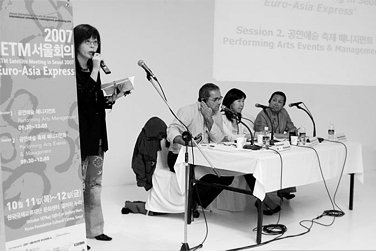 In 2007, PAMS hosted a satellite meeting of the International Network for Contemporary Performing Arts (IETM) in Seoul to broaden the scope of understanding between the performing arts management bodies in Europe and Asia. This boosted confidence about joint projects and opened up possibilities. All in all, PAMS has faithfully carried out the basic art-market functions and roles over the past four years. 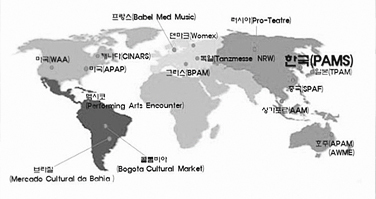 It has arranged for PAMS Choice groups to test the global market, built multilateral cooperative ties with foreign markets and institutions, strengthened its international network by elevating the recognition of PAMS in the global market, and provided a forum for information exchanges on the latest trends in performing arts. Other achievements of PAMS include making PAMS a solid presence in the local performing arts market and expanding cooperative networks with various local institutions. Cases in point are the KF-PAMS Fund, set up together with the Korea Foundation, which paid for the airfare of PAMS Choice groups when they were invited to perform overseas, and collaboration with the Korea Literature Translation Institution, which helped out with the translation of subtitles for showcases and performances by foreign arts groups. The mounting interest in PAMS will lead to steadfast and more numerous strategic partnerships with local institutions. With changes in time and space and due to internal and external factors, the creative urges of artists branch out in multiple directions, and market demands also evolve with the expansion of the performing arts market and more detailed specifications for the roles and functions of the art market. Art markets forge a new framework or even lead a transformation in response to these new market demands. If PAMS has worked to raise the awareness of the local and overseas art markets over the past four years, PAMS 2009 seeks to bring a more extensive change in its market functions. That is, PAMS looks to enlarge and restructure the conventional functions of the market, which has been customarily perceived as a venue of distribution that links suppliers to customers with completed works. The theme of PAMS 2009 is “From Creation to Distribution,” which underlines the intention to incorporate the creation stage -- the very first step of the performing arts work distribution process -- into the structure of distribution. This, in turn, means adding the distribution stage into the structure of creation. Until now, performing arts support policies and the market system have largely regarded creation and distribution as separate processes. But lately the market is seeing an increasing number of instances where distribution is inserted into the support policies of each creative phase. Examples of the policies and systems combining creation and distribution include creative factory projects, incubation projects for small theater plays, joint commissioning projects between festivals, and distribution expansions through transnational productions. In fact, the concept of a work process that encompasses creation and distribution is nothing new. Some performing arts festivals have long been adopting this approach. PAMS seeks to incorporate creative promotion into the function of the general market. The aim is to provide a platform where all the processes from creation to distribution can be shared by getting involved in the initial brainstorming and the ensuing development stages. Involvement in these processes can heighten understanding of and interest in projects, and even foster an environment where creative endeavors can take place under more stable conditions by finding production or distribution partners during the creation phase. The latest buzzword appears to be the term “creative producer.” In the auxiliary programs of PAMS, producers from Korea, China, Brazil, the United Kingdom, and Australia gather to attend a creative producers’ network meeting. Although it’s hard to give a precise definition for a creative producer, the term loosely describes a new generation of presenters who are very close to artists and involved in every step of the artistic process -- from creation to distribution -- and take distribution into account even during the creation phase. In the midst of such changes and demands, PAMS hopes to set a new course of direction for the future under the overarching theme “From Creation to Distribution.” PAMS 2009, therefore, features a wide range of programs, including a forum of theme sessions, case studies of creation and distribution in North America, production of joint works, and the LIP (Looking for International Partners) program to find distribution partners. PAMS also plans to expand its global networks to facilitate overseas presentations of Korean performing art pieces and further organize academic and consulting programs implemented to train global producers who can actively work in the global markets to pave the way for performing arts groups on the world stage. Until now a majority of performing arts groups did not have their own professional organizers for overseas presentations, which compelled PAMS to carry all of them on its back. But now PAMS and performing arts groups are expected to run hand in hand and side by side. It is apparent that PAMS is poised to take a giant stride in the midst of these new changes.